Its been a minute since by last post, and so there’s a fair bit of news to power through. With a few new releases, a load of teases at future stuff, and sights of a historical range in the near future. Without much preamble then, let’s get into this. Having left their Pre-Order stage the American Tora Bora Hunters range are now up for general release. I’ve posted the sculpts of these before, and now Tim’s shown off a few of them now painted up. The set are now up for sale on the site at $40 for the ten. Someone on the Facebook group also posted up one of the reference photos used for these fighters if you want an idea of what the real guys looked like. Meanwhile the Boko Haram set now includes the African Mercenary figure which Igor had sculpted (with no change in price). Similar to the GROM, SEALs, and Russian Spetsnaz, we’re now seeing some Austrian Special Forces in the works. Kitted out as a breaching time armed with Steyr AUGs with all sorts of modern attachments, the set comes with a figure wielding a saw for any obstacles in their way. The set of six figures are up for Pre-Order now, $24 for the squad, with a release date of December. Sculpts have been shown off for more mercenary figures. This time its a set of PMCs protecting a VIP. With the PMCs mostly standing at ease, they’d also work as guards at bases or similar locations. The set are armed in with American made weapons and kitted out in a Western style, though that’s not to say that the official has to be (or if he could be replaced with say SASM’s South American drug boss miniature if you want them to be a bit shiftier). With these and the team of reporters we’re maybe seeing more character figures planned outside of just regular dudes with rifles. These six will also be for sale come December, though are available to Pre-Order now at $24. The African Tribals (which if I remember right were Ethiopians) have been put up for Pre-Order. A set of four for $16. Just the one figure has been shown for now of a future British Special Forces range similar to those ones which I’ve already mentioned. The figure looks to be kitted out a bit differently than the others with the coat he’s wearing and webbing, though would probably do for generic soldiers in jackets if that’s what you’re looking for, rather than the usual un-hooded gear the other figures have. Coming in December, along with the mercenaries shown earlier in this post, are a set of contractors based on some American operatives active in Yemen recently (there’s some articles on the topic out there). Additionally more Technicals have been mentioned with two more on the war which are in the process of being moulded and casted. Hopefully with some images available at some point this month. 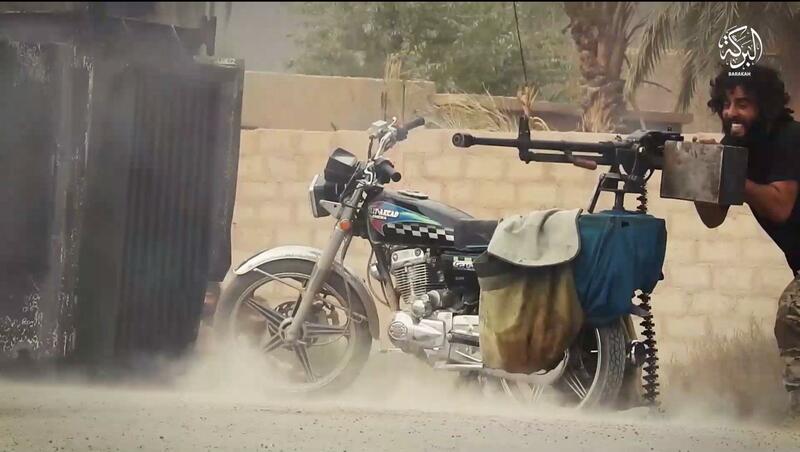 I’m still kind of confused why nobody’s shown off one of these bikes armed with DShKs which have become so prominent in the Middle East recently. 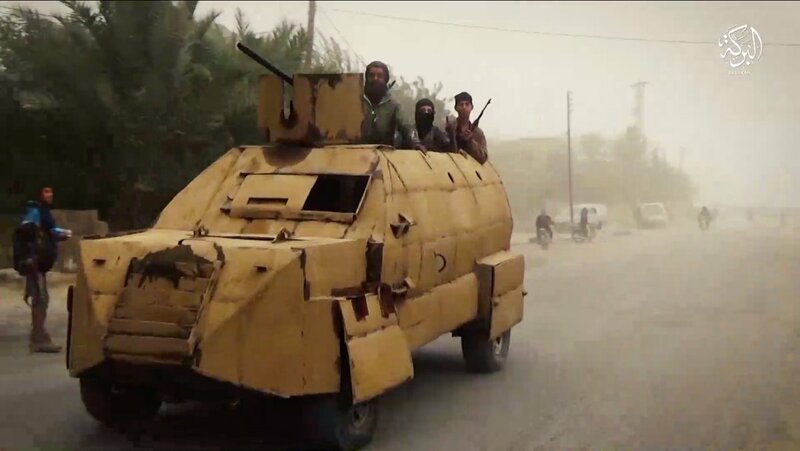 They’d be such a simple conversion of one of the existing 28mm bikes out their with a spare DShK. Go on then one of you (I keep telling myself not to start a MENA collection…). The big news this month has been the announcement of the Savage Frontier range. Covering the French & Indian War of 1754, SASM intends to release at least four sets of figures covering the conflict. So far Tim’s begun one of his “TimStarters” for the first set of figures, “Roger’s Rangers”. These will be eleven models priced at $30 for the set based on this group of light infantry, wearing their distinctive green wool uniforms and bunnets. The intention behind the first set is to reach a pre-order goal of $2000 to fund the project. Totalling 66 individual pledges. With the intent being to judge interest in the subject matter. This will be running through till the eleventh of this month, so if you’re wishing to get into this range now’s the time. You may not be aware, but SASM also have a range of terrain available besides all their vehicles and figures. For a while now they’ve had a 3D printed CIA Compound, and have recently partnered with Sarissa for an upcomming MDF release of the same product. We’ll have to see where this project takes the company. I know that Spectre Miniatures too have done some work with Sarissa, at least based on the building’s they’ve been using on their show boards, but it may not be as official as this. Again, like the Savage Frontier range and their other products, whether we see more stuff like this for sale is likely down to if there’s a customer base or not for it. Though given Sarissa’s existing range, I can’t see why not. The original compound is still available, along with a seperate building from the set on the SASM website. There’s been a lot of talk on SASM’s Facebook page regarding similar partnerships recently, so we’ll have to see how all this pans out and if there’ll be many more product releases in future like this.